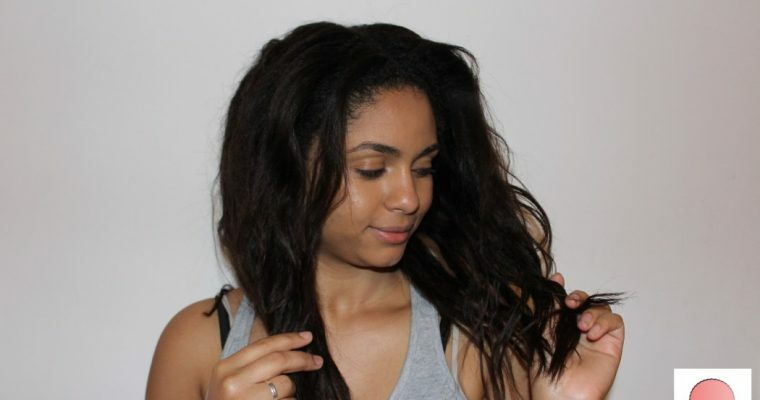 How to Wash Natural Hair? Sem grandes demoras vamos é passar para aquilo que vós traz hoje aqui que é aprender como é que eu faço os braids outs ou tranças desfeitas. Sempre que coloco fotografias em que o meu cabelo esta encaracolado/ ondulado vocês perguntam-me como é que eu fiz isso acontecer. Pois bem, hoje terão a resposta tão desejada. Os braids outs foram o primeiro penteado/estilo/texturização que aprendi logo no início da minha jornada capilar (no primeiro dia) e inclui-o logo na minha vida e desde então somos inseparáveis, lol. As pessoas que me seguem nas redes sociais sabem bem aquilo que estou a dizer, ahah. Desde que tenho o cabelo desfrisado para mim era impensável estar com o meu cabelo solto sem o ter esticado. E eu adorava estar com o cabelo solto, é o visual com que mais gostava de me ver. 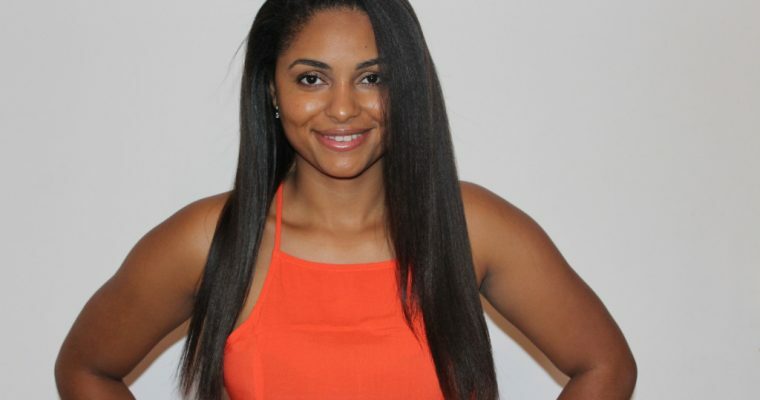 Os braids outs/ tranças desfeitas surgiram como a solução que me permitiam ter o cabelo solto mas simultaneamente abdicar das fontes de calor, manter o cabelo hidratado e cumprir com as “regras” da jornada capilar. 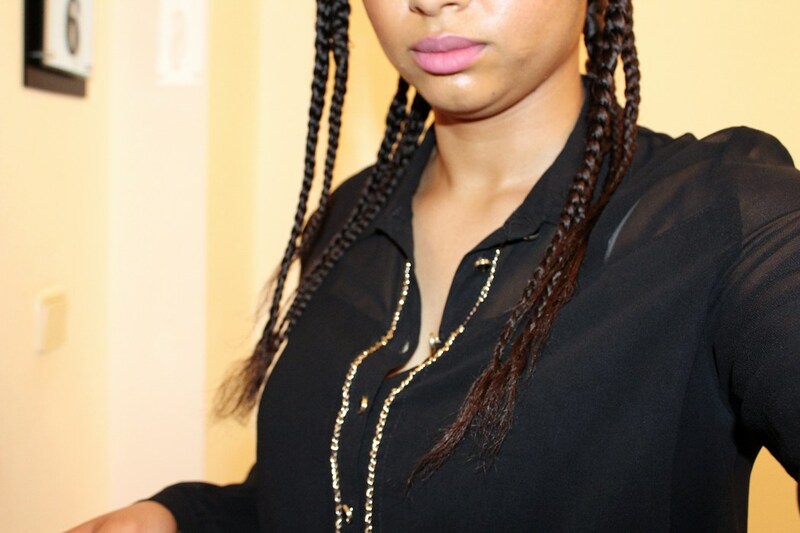 Se não fossem os braids outs/ tranças desfeitas foi dificilmente eu tinha conseguido chegar a este comprimento. 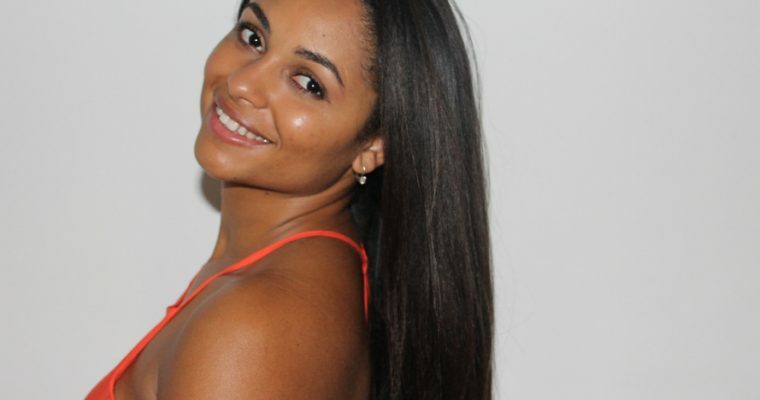 O que são os Braids Outs/ tranças desfeitas? Que produtos/utensílios utilizo para fazer os braids outs? Hoje em dia continuo a utilizar quase os mesmo produtos que usava no início da minha jornada para obter os meus braids outs. Recentemente adicionei um produto que me tem ajudado imenso na definição dos braids outs que são os cremes custard. A utilização deste produto é opcional mas antes de o utilizar também conseguia óptimos resultados. I come to update you on my hair progress. This time I chose to unseat exactly after 6 months of prolongation. The previous show was on the 25th of July and my last show was on the 25th of January. I’ll confess, girls: “I could not handle the two textures any more.” The lack of time and often, let’s face it, tiredness, daily routines and life in general lessen the will and motivation of taking care of the hair and this led me to become slightly frustrated with my hair because He rarely managed to make him look good. “Does a person spend so much time investing in it and then can not even feel good and beautiful with it?” The last month of prolongation was really difficult as you may be noticing (laughs). The last months of prolongation are usually always difficult but this was particularly complicated. Which makes me wonder if I should not start shortening the time between the parades or not. If on one hand I love the fact that I only worry about the show only twice a year (weeks before the show I’m super anxious and always afraid that something will go wrong, I do not know why but this happens often), and I love the volume that the prolongation between the ventures gives me but on the other the stress in taking care of the two textures sometimes is exhausting. 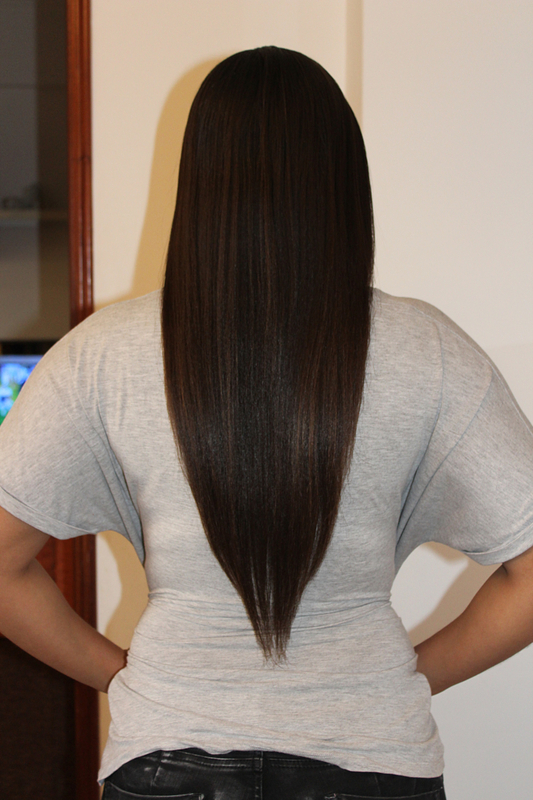 At this interval my hair grew about 6 cm which is equivalent to about 1 cm per month. 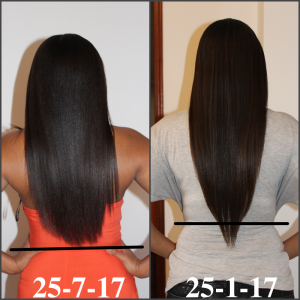 I was able to retain practically all the growth but in some parts I had some breakage, especially at the tips a lot due to the lack of patience to deal with the two textures (yes, it happens to me too, lol).